Besides the alluring natural scenery and profound ethnic culture, Yunnan also provide you something about Muslim. The highlights of this Muslin tour is the famous Dong Lianhua Village and Donglianhua Mosque. 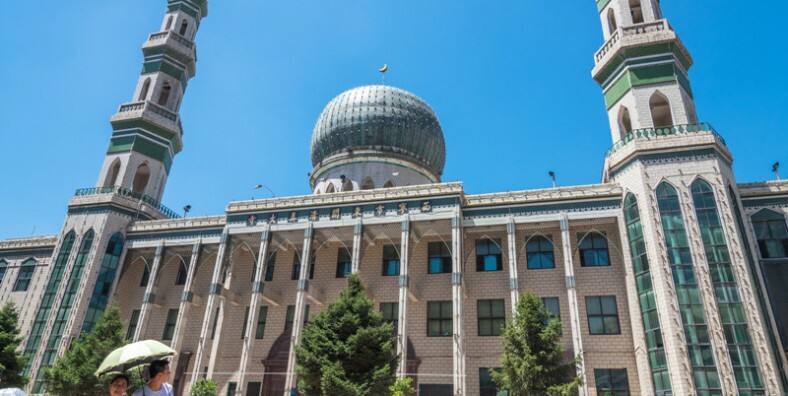 Dong Lianhua Village located in Weishan County is one of the most obviously Muslim areas in China and Donglianhua Mosque is one of the 22 Mosques collected in Weishan County. Experience Muslin culture and explore the ethnic groups in Yunnan. Enjoy the natural beauty along the way. Airport-Hotel transfer. Then explore this city on your own. After the visit, drive back to Kunming and visit Nancheng Mosque, the largest mosque in Kunming first constructed during the Tang Dynasty. Then move on to Flowers and Birds Market and Green Lake Park, strolling around the lake, watching locals do dancing and making music. Today take the speed train to Dali. 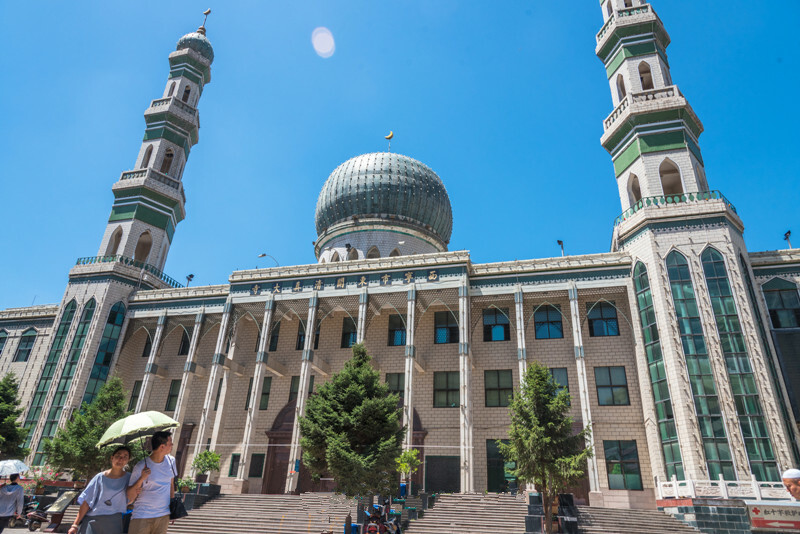 Upon arrival, drive to visit Donglianhua Village, one of the most obviously Muslim areas in China and Donglianhua Mosque, one of the 22 Mosques collected in Weishan County. Then continue the tour to Weishan Old Town and Weishan Confucius Temple. Weishan Old Town is the cradle of Nanzhao kingdom. Today explore Dali Old Town including the Foreigner Street, the Ancient City Wall of Dali and The Gate Tower. Wander around the streets to experience the local culture. Located between Cangshan Mountain and Erhai Lake, Dali Old Town is a historic town with rich culture, which attracts many visitors every year. Then take a cruise on Erhai Lake and visit Three Pagodas in Chongsheng Monastery – a symbol of the Dali City. Upon Lijiang arrival, head to visit Black Dragon Pool and Dongba Culture Museum, then walk along the river to Lijiang Old Town. With a history of more than 800 years, Lijiang Old Town was listed as the World Cultural Heritage Site by the UNESCO in 1997. Black Dragon Pool offers a spectacular view of the Jade Dragon Snow Mountain and also is home to the Dongba Culture Museum. In the morning, drive to visit Jade Dragon Snow Mountain. About 15 kilometers from Lijiang Old Town, Jade Dragon Snow Mountain is the southernmost snowcapped mountain in the Northern Hemisphere. Upon arrival, visit the scenic spots of Ganhaizi Meadow, White Water River and the famous Yak Meadow. After lunch, enjoy the Impression Lijang Ethnic Show demonstrating the traditions and lifestyles of the Naxi, Yi and Bai peoples of the area directed in Ganhaizi Meadow(3100M). Later stroll through an enchanting traditional Yunnan old town – Baisha Old Town and visit Baisha Mural – one part of Lijiang World Cultural Heritage. Breakfast at hotel and drive to Shangri-La city. Shangri-La is a great place to experience the spectacular landscape and profound Tibetan culture. On the way, we will have a distant view of the First Bend of Yangtze River, and continue the trip to Tiger Leaping Gorge, which is one of the deepest gorges in the world. Then drive about 2 hours to Shangri-La. Upon arrival, check in hotel. Later, stroll around Dukezong Ancient Town, a famous stop on the antient Tea-horse Trade Caravand. Then walk up to the top of Guishan Hill and see the largest Prayer Wheel of the world – Grand Prayer Wheel, where we can also have a panoramic view of Shangri-La city and Dukezong Ancient Town.